Sac Area Sports, Inc. the foremost leader in hosting quality, organized basketball tournaments. SAS is the original founder and developer of model protocol that is used in the basketball community throughout the Greater Sacramento area by all hosts. SAS continues to strive above all to provide a traditional basketball environment for all youth. SAS is founded on the belief that by providing today's youth the environment in which they are striving to achieve in high school and college, youth will excel in the environment in which the game is intended to be played in; one gym, one game. SAS has set the standard and will continue to host quality tournaments in traditional style. SAS utilizes high school gyms in the greater Sacramento area working with the public school districts. SAS is a non-profit 501(c) 3 organization and is proud to be a major contributor and supporter of our community, public schools, and athletic programs. 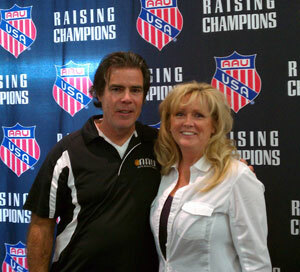 Charles Baldwin, President, CEO of SAS has over 20 years of experience directing youth basketball tournaments. SAS will continue to be successful with his faith and ambition to make a difference in our community and youth. To apply for a SAS Grant submit the following application to Beverly Baldwin at Beverly@sacareasports.net Click here to down load application.